Applied Tower Truss is designed to be used as a column. Tower Truss is available as 12”, 16” or 20.5” box truss and is constructed from heavy duty, schedule 80, 6061-T6 aluminum tube. Tower Truss is connected with 5/8” grade 8 bolts or optional steel spigots and pins. Where a heavier load rating is required – such as roof systems, LED screens, sound reinforcement or lighting grids – the Tower Truss sections can be combined with a hinged base and sleeve block to enable the tower to support the extra load. The Tower Truss features a highly polished aluminum tubing, 0.200” wall thickness, 1.05 OD aluminum bracing and twist bars. Tower Truss is available in both plated and spigoted style of truss. 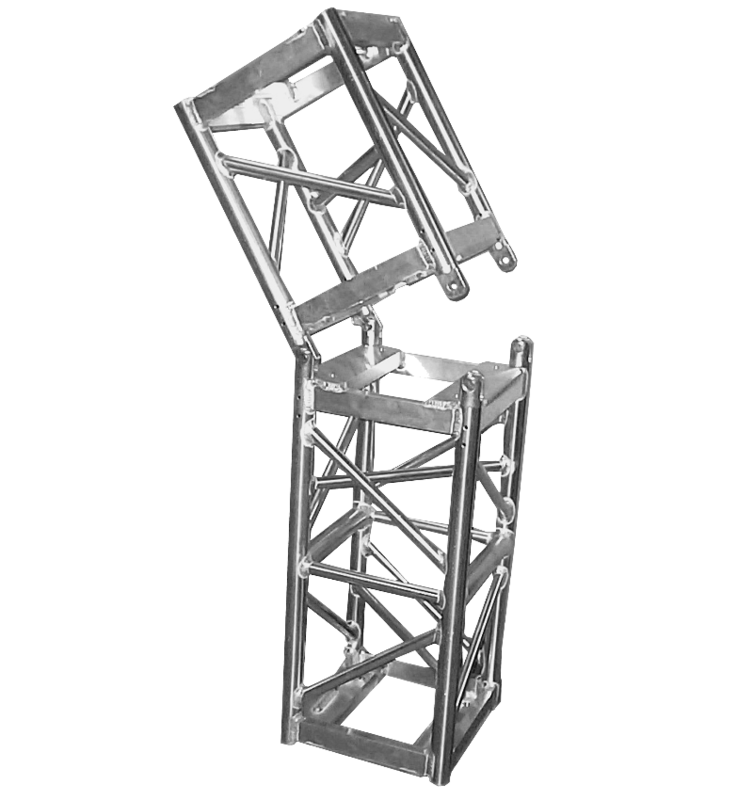 All of our tower truss is fabricated by certified welders and is proudly American-made.